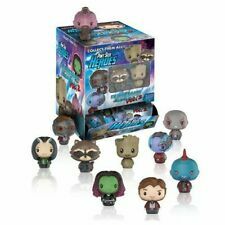 10 X Funko Pint Size Heroes Guardians of The Galaxy Vol. 2 Blind Bags. Batman Glow In The Dark (Justice League) Funko Pop! Add to Favourites. One random mini supplied. *PLEASE NOTE* As these are sealed random mystery boxes I cannot guarantee which character you will get. Check out my other listings! all P P is free! FUNKO POP! HEROES VINYL #43 - CLASSIC TV (BATMAN) - CATWOMAN . Condition is New. Funko Pop! Heroes - DUELA DENT - DC Comics Bombshells - #257. I try to show all box imperfections, but Funko boxes are notoriously flimsy and can display small signs of shelf/storage wear. Not damaging to the overall aesthetic of the item, but present. This has been out of box but now back in again. Any damage will be shown in photo. FUNKO POP! Heroes! The Dark knight Trilogy - The Joker #36. Condition is Used. Dispatched with Royal Mail 2nd Class. There is a manufacturers paint mark on the face. This has been kept out of box and boxed back up now. Any damage is shown in photos. Funko Pop! Heroes Suicide Squad Harley Quinn Vinyl Figure #97. Condition is Used. Dispatched with Royal Mail 2nd Class. 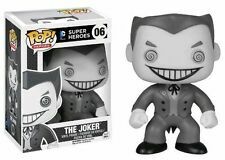 DC Comics Super Heroes Pop! Vinyl Figure #95 - Cyborg. Condition is Used. Dispatched with Royal Mail 2nd Class. Funko Pop! Heroes Vinyl DC Comics Deathstroke #49. Condition is New. Dispatched with Royal Mail 2nd Class. This has been kept out of box and boxed back up now. Any damage is shown in photos. 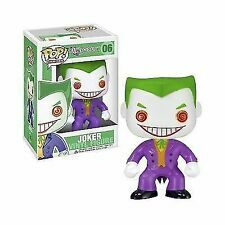 The Joker Suicide Squad Funko Pop 96 New. Condition is Used. Dispatched with Royal Mail 2nd Class. Battle Deku - Hot Topic Exclusive - My Hero Academia - Funko Pop! Brand New. Condition is New. Dispatched with Royal Mail Signed For® 2nd Class. Ending Wednesday at 7:53PM BST1d 2hCollection station availableBrand: FunkoCharacter: HeroSize: 4"
Funko Pop! DC Super Heroes - Harley Quinn - Diamond edition - #45. I try to show all box imperfections, but Funko boxes are notoriously flimsy and can display small signs of shelf/storage wear. Not damaging to the overall aesthetic of the item, but present. SUPER A MAZING M ERCHANDISE presents ;. EXCLUSIVE Funko Pop! DC Heroes BATMAN #01 Glows in the dark. EXCLUSIVE Funko Pop! DC Heroes BATMAN #01 Glows in the dark.. Condition is New. Dispatched with Royal Mail second Class. Aquaman boxed, box has some wear and tear as in the photos. 11x Guardians Of The Galaxy Pint Size Heroes Funko Marvel. Condition is New. These have only been removed from the packaging to see which figures they are and take photos. Dispatched with Royal Mail 2nd Class. 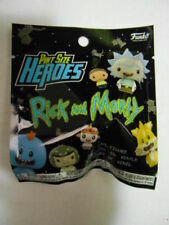 This is for a sealed box of Funko Pint Sized Heroes. These are WWE. There are 24 in the box. The photos provided indicate the condition of the box. This is a limited edition My Hero Academia Collectors Box. For the Funko Pop Collectors and My Hero Academia fans. I can dispatch worldwide. The Collectors Box is new and sealed. What you get. Ending Thursday at 8:42PM BST2d 3hBrand: FunkoCharacter: HeroSize: 2"
NEW & Unopened Funko Pop! #266 BLACK CANARY (DC) 2019 Spring Con Ltd Ed Excl. Funko Pop! 107 - Go Go Tomago. 113 - Fred. Disney Dumbo. Pint Size Heroes. From a non-smoking household. AQUAMAN 245. A SET OF 4. Funko POP Vinyl - Disney's Big Hero 6 - Baymax (Regular). Condition is Used. Dispatched with Royal Mail 2nd Class. Limited edition black and white Harley Quinn pint sized heroes and regular blue batman. My Hero Academia Funko Mystery Box Rare 2 Limited Edition Funko Pops Inside. Condition is New. Dispatched with Royal Mail Signed For® 2nd Class. From My Hero Academia, Deku, as a stylized POP vinyl from Funko! Collect them all! UPC 889698123808. Funko POP! Vinyl Figure Supergirl #93 DC Comics Superheroes. Condition is New. Dispatched with Hermes Tracked. Fred Disney Big Hero 6 POP! #113 Movies Vinyl Figure. Condition is Used. Dispatched with Royal Mail 2nd Class. New listing3 X DC Hero Suicide Squad FUNKO Mystery Minis Action Figure - New & Sealed. DC Hero Suicide Squad FUNKO Mystery Minis Action Figures 3 Random supplied. Condition is Brand New, Sealed.